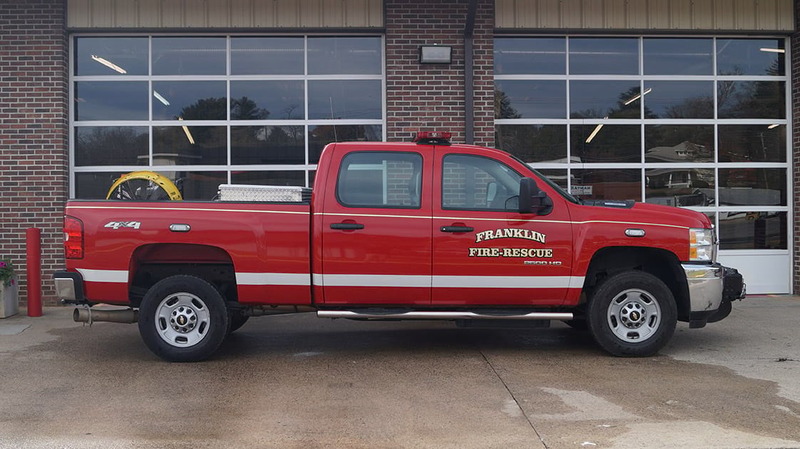 This truck was one of Franklin's first firetrucks. 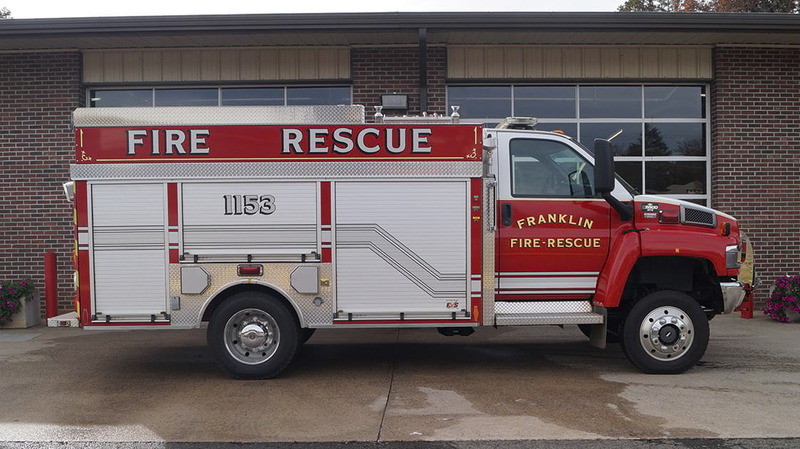 It was restored by the members of the Franklin Fire Department. 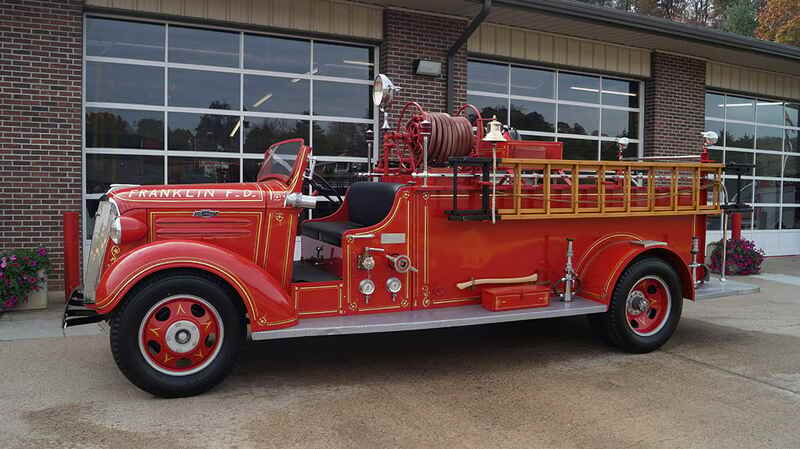 It still runs today and is driven in parades. 2000gpm Waterous pump, 500 gallon tank, Harrison 10kW generator, rescue hooks on ladder. 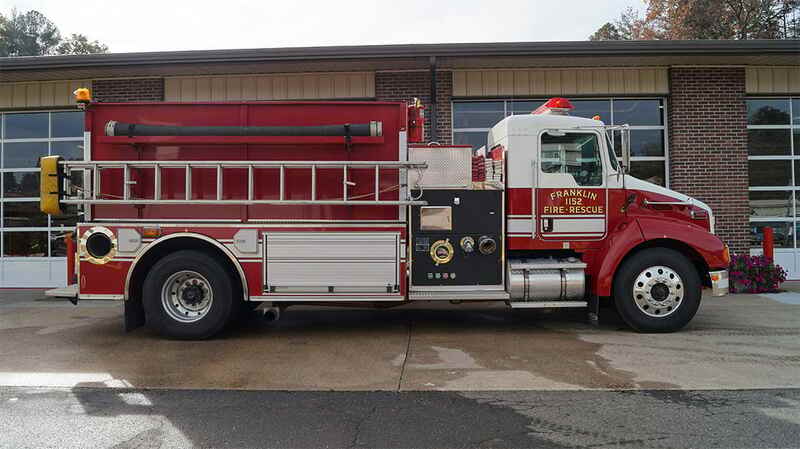 Used on all commercial structure fires and residential structure fires. 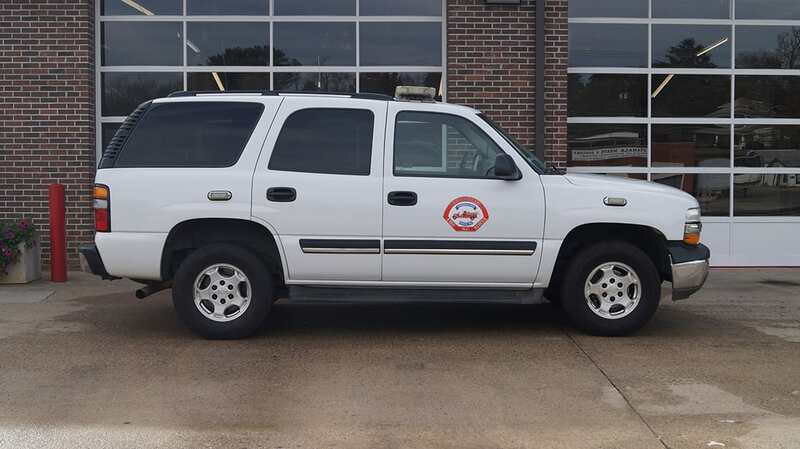 Also available for rescue and service calls. 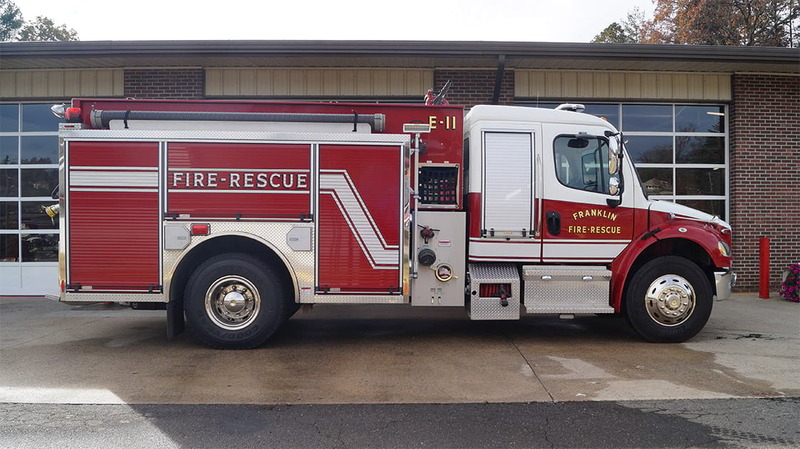 1,000 gallon tank, 10kw generator, and 1250 GPM Waterous pump with pump and roll capabilities. 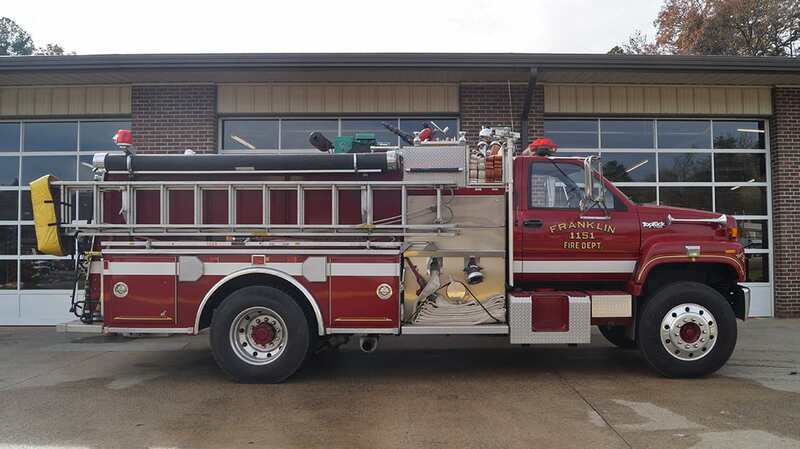 Primary engine for residential fires, secondary for commercial. 750 Gallon Tank and 1250 GPM Hale Pump. It is used on structure fires. 2000 gallon tank and 1250 GPM Waterous pump. 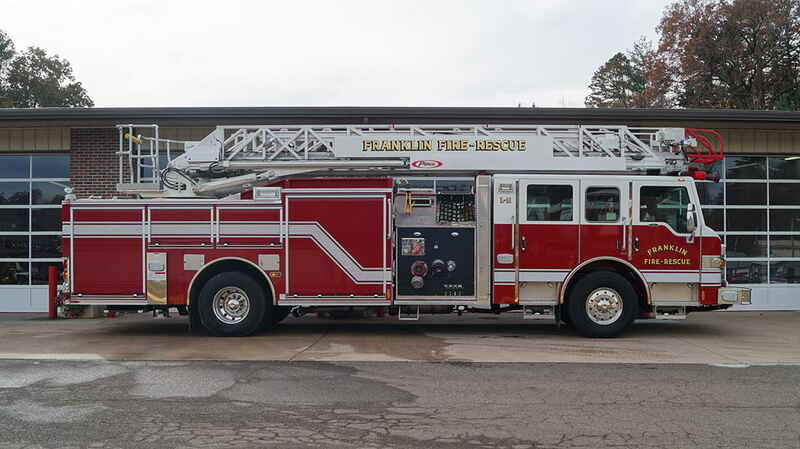 It is used on structure fires and mutual aid calls. 300 gallon tank, Waterous pump, dual winches and front mounted deluge gun. It is used on rescue calls and brush fires. 500 gallon tank and Hale 1500 GPM pump, and light tower. 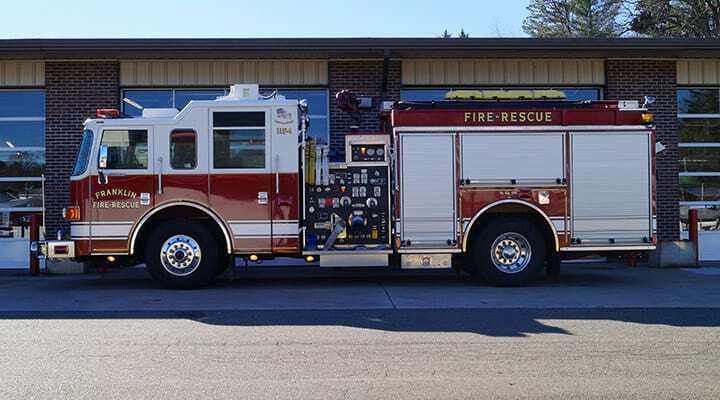 It is used on Commercial fire calls and automobile accidents. Service Truck with a 12,000 lb winch. It is used on all calls and first responder calls.